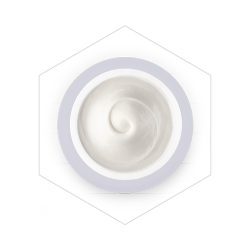 Is a firming, anti-wrinkle night cream whose very comprehensive formula works on the premature signs of aging. 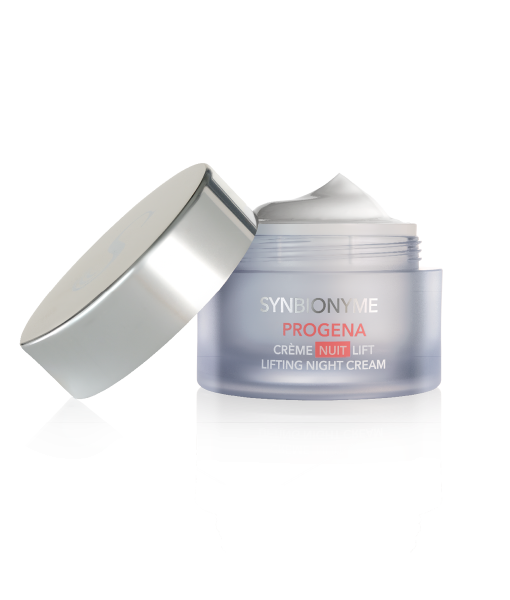 PROGENA Lift Night Cream is formulated using pre and probiotics, bakuchiol*, and a tripeptide that fills in wrinkles from the inside by stimulating synthesis of the major components of the skin matrix. Its velvety texture enriched with silk proteins and mango butter moisturizes the skin and envelops it in soothing comfort. Apply at night over the entire face. 100% of users showed improvement after 84 days of use. 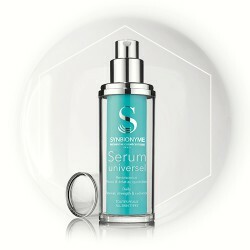 An increase in complexion radiance of +38% after 84 days. *** IDEA Clinic study ID17/09974- Hydration study after just 1 application versus control. 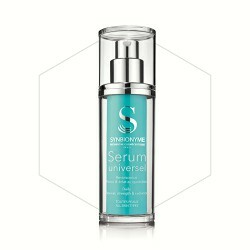 Anti-wrinkle tripeptide: fills in wrinkles from the inside by stimulating the 6 essential components of the skin matrix. Bakuchiol: anti-aging Retinol-like effect. 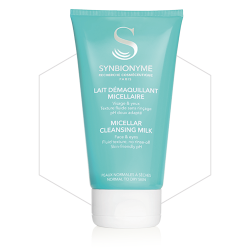 Stimulates synthesis of collagens II, III, and IV and elastane. 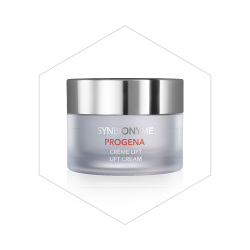 Inhibits the skin’s pro-inflammatory enzymes. Silk proteins: add a soft feel and retain water.